During the times when parents are making major parenting errors, they are often giving their children a double message in one way or another. The parents, usually because of their own ambivalence about rules they themselves learned in their own families of origin as they grew up, say one thing but seem to act in ways that contradict what is being said verbally. In this situation, children make sense of their parents’ confusing expectations of them by taking into account the entire context of the family’s interactions. They use three rules to sort out and hierarchically rank double messages that are given on a consistent basis. These rules are described in detail in my post of March 8, 2011, How Children Respond to Double Messages From Parents, Part I. The parents’ behavior may seem to indicate to children that the parents have certain expectations about how the children are supposed to turn out, and children will not want to disappoint the parents by defying their apparent expectations. This will happen in spite of the fact that the parents verbally instruct the children not to act in the way the parents seem to expect, and criticize and/or severely punish them when they do. Admonishments, especially verbal ones, will be disregarded. Actions speak louder than words (Principle #1 from the earlier post). In this post, I am going to list several examples of frequently-seen problematic parenting practices, as well as the consequences that such practices frequently lead to. They may cause relatively mild problems, but often they cause major issues. These patterns have been described to me over and over again by my adult patients as they discuss their family’s behavior over time. The problems I list all have a common theme: parents trying to micromanage their children's behavior in one way or another. Parents may protest: "I have to focus on my child's troublesome behavior because they won't stop it." They don't realize that it actually works the other way around: the child won't stop the behavior because the parent keeps focussing on it! After one of these problems goes on for a while, the situation gets more complicated. The parents and children begin to feed into one another's anxiety and compulsive behavior simultaneously. In order to solve such a problem, the parents have to be the ones who calm down about the issue first, or the children will be very unlikely to ever calm down and start behaving differently. When the parents do stop micromanaging, other difficult but solvable problems predictably ensue. These are discussed in the last paragraph of this post. In discussing any problematic parenting issues, there is always a rather devilish and perplexing conundrum that makes any such conversation frought with peril. Many troublesome parenting behaviors are driven by a parent's guilt over their own thoughts and feelings concerning their role as parents, and if one discusses what they may be doing wrong, this adds to their sense of guilt. They therefore often become very defensive and, if anything, dig in their heels. Their problematic practices then get even worse than before! On the other hand, if they do not really understand what they are doing wrong, they also continue doing it. A real lose-lose proposition this. Parental guilt is often increased by negative comments about their parenting practices that come from their own parents, the children's grandparents. This in turn is caused by certain changes in western culture which have been rapidly evolving over the last few decades. I describe these cultural issues in more detail in my last book, in Chapter Two, Don't Blame Us. Really, looking for someone to blame for family problems is a complete waste of time. The most important questions is, which would you rather do: find fault with people, or actually solve the problems? It is damn near impossible to do both. 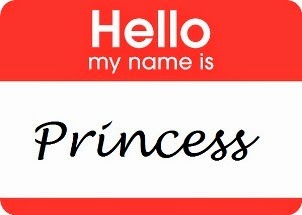 To naysayers I say, "Grow up!" The problems are created over several generations, so let's all just blame Adam and Eve, and be done with it. Some additional points: Some psychologists and parenting experts intuitively understand the type of consequences that I list below, but IMO they miss the real reason why they occur. Most seem to think that the parents are somehow “gratifying” their children in a counterproductive way. However, in my experience, children who are in many of these situations are anything but gratified. They are almost always quite miserable, and behave in self-destructive ways to boot. Feeling good and being self destructive are for the most part mutually exclusive. Rather than being gratified, I believe - as I have said many times in this blog - that the children are sacrificing themselves to give the parents what the parents seem, in the estimation of the child, to desperately need. Another frequent explanation, particularly by cognitive-behavioral therapists, is that the problematic parenting practices prevent children from acquiring certain social skills. While that explanation may at times have some truth, many of the "skills" such children are supposed to lack are not exactly rocket science. And these same children often demonstrate in other interpersonal and environmental contexts the very skills they are not supposed to have ever learned! Critics of course will also point to examples in which the types of parental behavior described in the post do not or did not seem to be followed by the predicted negative consequences. As usual, I need to put in a disclaimer: The consequences of the parental behavior I mention do not always result in every situation in which the parenting problem is seen. They are not hard and fast. Kids have minds of their own. Other adults in the house or even in the community may provide a counterweight. Some parents behave more consistently, others much less so. Some are consistently inconsistent. Parents might get sick and tone down their rhetoric for extended periods. A zillion other things may come into play. There is a chaos effect: small changes in initial conditions can lead to big changes down the line. However, if parents make the kind of errors I describe, the odds are very high that the predicted consequences will indeed occur. We’re talking probabilities here! If you constantly try to fix a child, the child will find different ways to keep being broken so you can continue in your efforts. If you continually bail children out of their own messes, they will continue to make messes for you to bail them out of. If you give your kids money whenever they ask and almost never say no, they will continue to ask you for money, and may seem to develop problems supporting themselves when they grow up. If you constantly try to mediate disputes between your children, they will continue to fight one another so you can continue to mediate. If you blame yourself for your children’s failings, your children will blame you for their own woes. (In a perverse and ironic way, their problems are partly your doing. But it’s your guilt about your own behavior that creates the problem, not your basic character or intrinsic worth). If you repeatedly tear apart your child’s room looking for drugs when there is no evidence that he or she is using, just to make sure he or she is not using, the child is more likely to use drugs so you can find what you are looking for. If you continuously help children with their homework instead of telling then to figure it out for themselves, they will continuously need your help. If you keep making a huge deal about something your children do or say, they will keep repeating whatever it was so you can continue to obsess about it. If you instantly replace any items lost by your child, your child will continue to lose things. If you do nothing when your children disrespect you, or if you just whine and scream at them about it, they won’t ever respect you. If you look uncomfortable getting presents on holidays and birthdays, your children won’t give you any, or will give you thoughtless gifts. (If you then question them about it, they will get angry or passive aggressive, and may start giving you things, but looking as if they are only doing so because you asked, not because they care about you). If you seem to get a kick out of a child’s misbehavior, they will continue to misbehave, no matter what else you say about it. If you set a low bar in your expectations for your child (academically, for example), they may meet the bar, but they will not exceed it. If you compulsively pay more attention to your children's needs than you do to those of your spouse, they will make gallant efforts to regulate the amount of intimacy you have in your marriage by inserting themselves between the two of you. Last - and this is perhaps the most pernicious of all - if you constantly give in to your children's demands out of guilt, but then get angry at them because they are too demanding, then they will fear for your mental stability. In response, they will try to regulate your emotions like a thermostat: If you start to get too angry they will try to make you feel guilty, but if you start to feel too guilty, they will try to piss you off royally. Whenever you try to stop doing any of these things after having done them for a long time, expect a negative reaction, because you will be confusing your children. They thought they had you all figured out, and suddenly you are not performing to their expectations. Therefore, their behavior will get even worse in order to see if you really mean what you say and are going to continue to be different. Their behavior will, however, eventually get better if you stay the course. Is Your Psychiatrist Committing Malpractice Even if Doing What a Lot of Other Psychiatrists Are Doing? My malpractice carrier, which is physician owned and operated, recommends taking one of their seminars or online courses on different aspects of medical malpractice every year, and gives those policy owners who do a 10% discount on their yearly premium. The course I took this year was on misdiagnosis. The course was not really geared to psychiatrists at all, but it seemed to me that the general advice still applies to them. However, in my experience the advice is not clearly being followed by a lot of my colleagues these days. If these recommendations are indeed valid, and I certainly agree that they are, a lot of psychiatrists are getting away with gross negligence. Statistics show, by the way, that doctors are actually far more likely to get sued for something they did not do wrong than they are to get sued for actual malpractice. Isn’t that bizarre? Some of the advice in the malpractice course concerns two major criticisms of my colleagues that I have written about extensively on this blog and in my last book: relying on symptom checklists, and relying on a diagnoses made by a prior clinician. Truly frightening. So, as a public service, here’s some information from the course that psychiatric patients might find useful if they are considering suing a psychiatrist for malpractice. From MedRisk (Medical Risk Management, Inc.). Misdiagnoses were more likely to be considered negligent in malpractice suits. Misdiagnoses were more than three times more likely to result in serious patient injury than medication errors. 3. Review any written history questionnaires with the patient to make sure the information is accurate. Patients who are sick or in pain can’t be relied on to even read the questions carefully, let alone provide thoughtful answers. Many patients will simply respond with a “No” to all prior diseases without reading the list and some patients, as discussed below, may not even be able to read or understand the questions. For example, the patient with a known history of high blood pressure may answer “No” when asked if he has ever been diagnosed with hypertension simply because he doesn’t know that they are the same thing. So make sure that your questionnaires are worded as simply as possible. Even then, review the responses verbally with the patient and make sure that you really do have a useful medical history. Most healthcare instructional materials provided to patients are written on a 10th grade reading level or higher. Yet the reading level of the average patient is 4.6 grade levels below the last year of school completed, which means that a typical high school graduate reads at around an 8th-grade level. Further, the average Medicaid recipient reads at less than a 6th grade level, with more than one-third reading below the 4th grade level. 4. 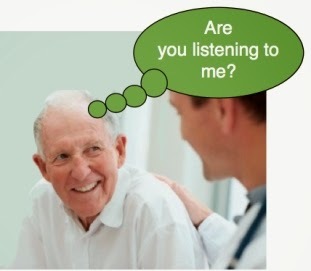 Hear the patient out while taking the history and do not interrupt. Physicians are often overworked, overbooked, and scrambling to stay on schedule. This can leave them anxious to get to the point of a patient visit. One study found that physicians on average interrupted patients only 18 seconds into the explanation of the reason for the visit. This is significant because patients typically have a list of several complaints or observations they would like to discuss, yet rarely get beyond the first or second before being interrupted. Cutting the patient off before you’ve heard him out is called “premature closure,” and the main problem with this approach is that it assumes that the presenting complaint carries the most medical significance. This is often not the case because the patient experiencing multiple symptoms may not know which are the most important, nor which may be related to the same underlying cause. For example, the patient who reports transient blurriness in her right eye may not realize that the simultaneous tingling sensation she feels in her right arm and leg are related. Premature closure typically involves a patient with a serious but uncommon diagnosis who presents with symptoms suggestive of a less serious and more common diagnosis. Contributing to premature closure is a general human tendency to hear what we expect to hear, and mentally filter out as extraneous any details that we don’t expect. Fortunately, the main assumption underlying premature closure—that patients will talk endlessly if allowed—appears to be incorrect. Several studies have found that patients who are allowed to list all their concerns without interruption rarely speak for more than two minutes. Allowing the patient those two minutes not only prevents premature closure, but can actually save you time by allowing you to focus on the most important symptoms first. It also avoids those “Oh, by the way…” conversations in which the patient brings up a new problem just as you’re headed for the door. 5. Every doctor owes a duty of making an independent assessment of the patient, utilizing the full range of his or her clinical skills, regardless of whether you’re a primary care provider or a sub-specialty consultant. If you’re an FP [family practitioner] and receive a specialty ob-gyn report informing you that a 60-year-old woman who had a hysterectomy 15 years ago is pregnant, you’d obviously recognize that you’d received the wrong patient’s report or that some other mix-up had occurred. Yet far less blatant errors occur all the time in the exchange of patient information, and you should always be mindful of that possibility any time the specialist’s opinion doesn’t fit your clinical finding or the patient fails to respond to treatment as expected. Clearly, the same can be said for not entirely relying on the diagnosis of some other practitioner even in the same specialty, who may or may not have done a good diagnostic workup, but instead doing one’s own independent assessment. If a psychiatrist prescribes something to you after initally talking to you for just fifteen or twenty minutes, find another doctor. As I did on my posts of November 30, 2011, October 2, 2012, and September 17, 2013, it’s once again time to look over the highlights of the latest issue of one of my two favorite medical journals, Duh! and No Sh*t, Sherlock. 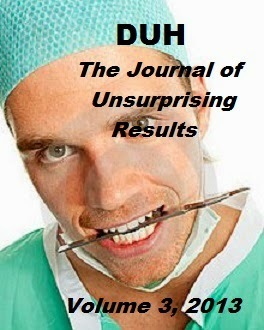 Let’s take a look at the unsurprising findings published in the latest issue of Duh! My comments in bronze. 9/13/13. Effects of Child Abuse Can Carry Over, Study Finds. Researchers with the National Academy of Sciences reported Thursday that the damaging consequences of abuse can not only reshape a child’s brain, but can last a lifetime. Untreated, the effects of child abuse and neglect, the researchers found, can profoundly influence a child’s physical and mental health, their ability to control emotions and impulses, their achievement in school, and the relationships they form as children and as adults. Cognitive behavioral therapists are all up in arms in reaction to this, thoroughly annoyed that the psychoanalysts were right about some things. 9/16/13. Teens Who Text About Fighting, Drug Use More Likely To Engage In Those Behaviors. If they were real sociopaths, they wouldn’t have to brag about it. 9/27/13. Common Pain Relievers May Reduce Depression In Individuals With Osteoarthritis. Reuters (9/27, Doyle) reports that research published in the American Journal of Medicine suggests that common pain relievers may reduce both pain and depression among individuals with osteoarthritis. Investigators came to this conclusion after looking at data from five trials that included approximately 1,500 patients. Pain causes people unhappiness?? I always thought pain was something that causes unremitting happiness and celebration. 10/21/13. Stalking May Cause Psychological Distress. And here I thought stalkers were spreading joy wherever they went. Young people who attempt suicide are not only more likely to have persistent psychiatric problems as they approach midlife than non-attempters, but they are also more likely to have physical health problems, engage in violence, and need more social supports as they age. These are key findings from a study by led by Sidra Goldman-Mellor, Ph.D., and colleagues at Duke University and several other institutions and reported in JAMA Psychiatry. The best predictor of future behavior is past behavior? Who knew? 2/27/14. Study: Stigma Associated With Mental Illness May Prevent Many People From Seeking Care. Caring about what other people think? Worrying about your reputation? Who does THAT? Nonsense. Learning how to react to constant threats to your well being builds character! 4/8/14. Study: Physician appointment availability greater with private insurance than Medicaid. Reuters (4/8, Seaman) reports on a new study, published in the current edition of JAMA Internal Medicine, which shows the availability of physicians varies depending on a patient’s insurance coverage. Researchers, from the Perelman School of Medicine at the University of Pennsylvania in Philadelphia, found they were able to book appointments 85% of the time when claiming private insurance, compared to just 58% when they claimed to be covered by Medicaid. Oh come on. Doctors absolutely hate to make money. 4/14/14. Paternal Alcoholism Tied To Family Conflict. Reuters (4/11, Bond) reported that according to a study published online March 15 in the journal Addictive Behaviors, families in which the father had a problem with alcohol appeared to experience increased levels of conflict. However, treating men for alcoholism may result in an improved home life for their children. Gee, and I thought drug addiction was a symptom of family harmony. 4/22/14. False-Positive Mammograms Linked To Increased, But Temporary, Anxiety. People get nervous if they think they might die. Really? Silove D, et al. – Recurrent violence resulted in a major increase in post–traumatic stress disorder and severe distress in a community previously exposed to mass conflict. Poverty, ongoing community tensions, and persisting feelings of injustice contributed to mental disorders. The findings underscore the importance of preventing recurrent violence, alleviating poverty, and addressing injustices in countries emerging from conflict. So what does trauma have to do with PTSD anyway?